My first restaurant, Thyme, was previously the site of an eponymous fish restaurant titled Moxon’s, a charming eatery owned and run by a local fishmonger, who also smoked and cured fish named Robin Moxon. Robin has since become one of our longest-standing suppliers at Trinity. With most of the fish caught in British waters ending up on foreign tables, I always find it incredibly exciting to see small business owners pay homage to our local fare—an ethos that I have rarely seen so exemplified as by Robin. After moving the restaurant on to me, Robin proceeded to open up three new Moxon’s locations across London, sparking a reputation for his mastery of smoking and curing the best quality fish that the UK has to offer. We use Moxon’s smoked fish products at Trinity, Bistro Union and Upstairs, and I find that the small-scale smoking and curing process allows for the product to remain consistent and incredibly accurate in its execution. Over the years, Robin and I have found ourselves procrastinating for many hours over the various salts, timings and flavour of wood chips—the devil really is in the detail. 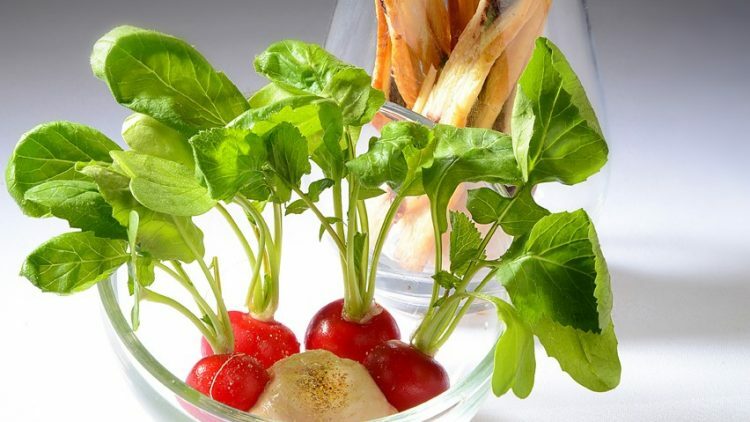 Our ‘Moxon’s Smoked Cod’s Roe Dip (Taramasalata)’ is a firm Upstairs favourite, served simply with fresh radishes. Another dish that reigns high amongst my favourites is our Upstairs Fish Stew, served with Seaweed Aioli and Sea Slaw—sophisticated in its simplicity whilst enabling us to write a whole new story with any extra cuts of fresh fish in the restaurant, this dish showcases British seafood in its finest form. When it comes to seafood, I always find that there is nothing more satisfying than a gentle, considered approach, treated simply and served in a relaxed atmosphere.